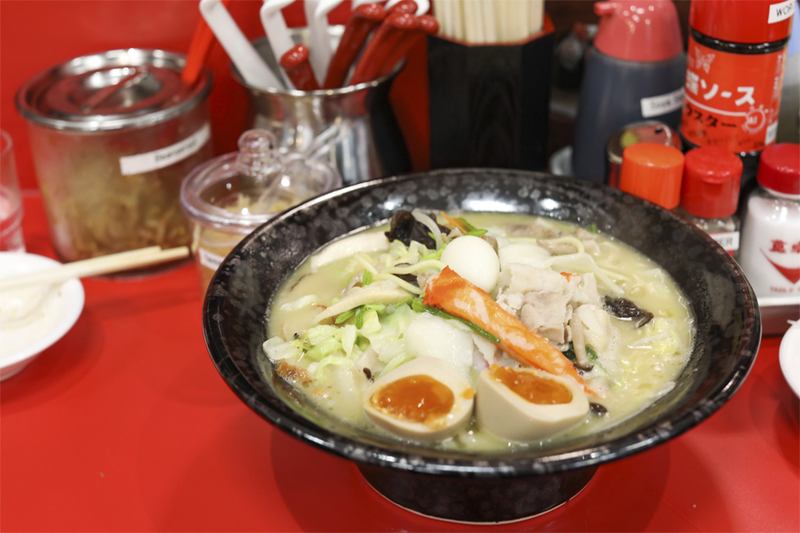 Keisuke just opened a new Ramen Champon concept at International Plaza, Tanjong Pagar – his favourite turf. 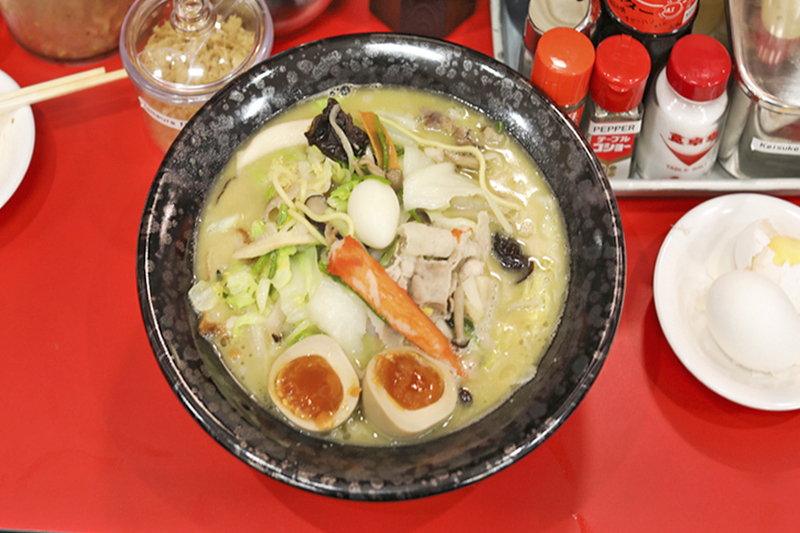 It is one “i” away from Ramen Champion. 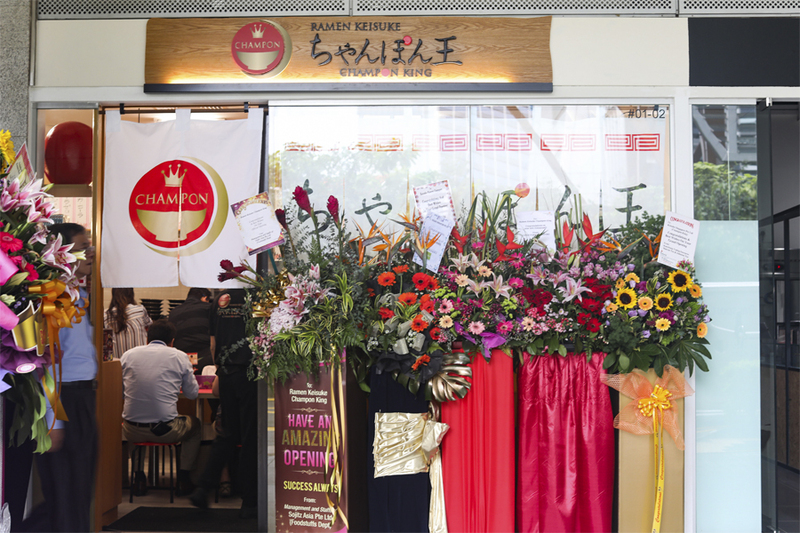 Champon King is his 14th outlet in Singapore. 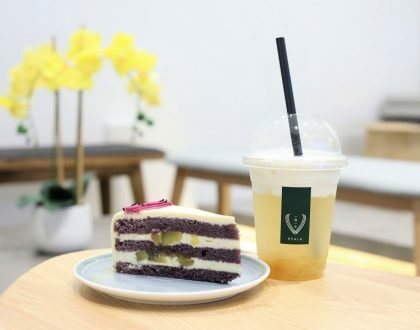 And if you may ask, my personal favourites of the group are Ramen Keisuke Lobster King at Clarke Quay, and Keisuke Kani King at Orchard Cineleisure. Though standards can be differing from time to time. 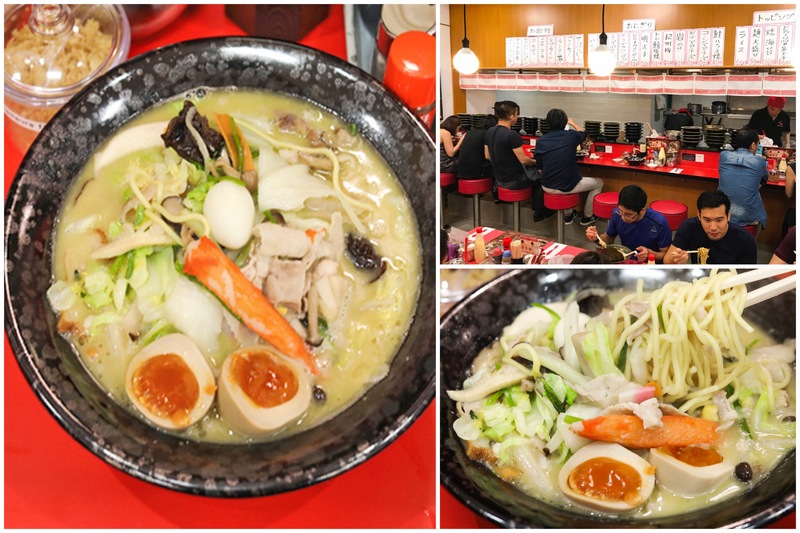 While the website states that this is the first Champon ramen specialty shop in Singapore, technically Ajisen opened an Ajino Chanpon back in 2010 (I wrote a review then for HungryGoWhere, so I remember), but that didn’t work out. 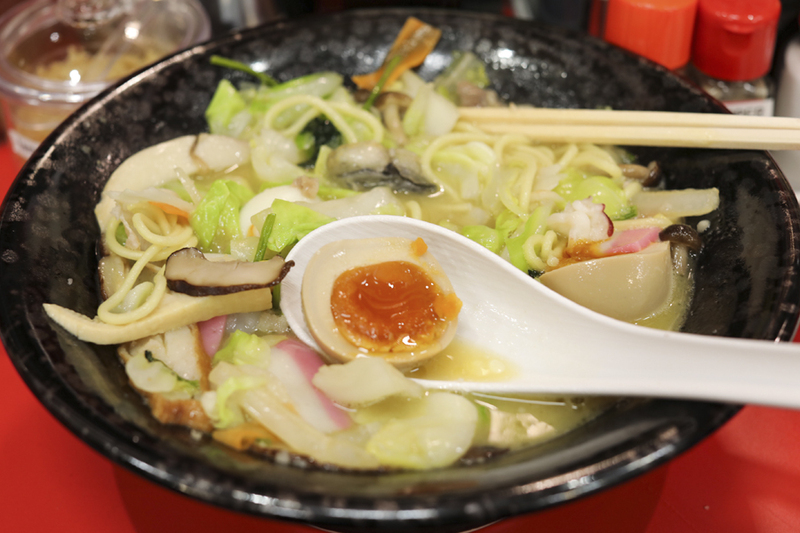 Chanpon noodles is a regional cuisine of Nagasaki, Japan, made by frying seafood, pork, vegetables and other ingredients together. It really means mixing a variety of things together. 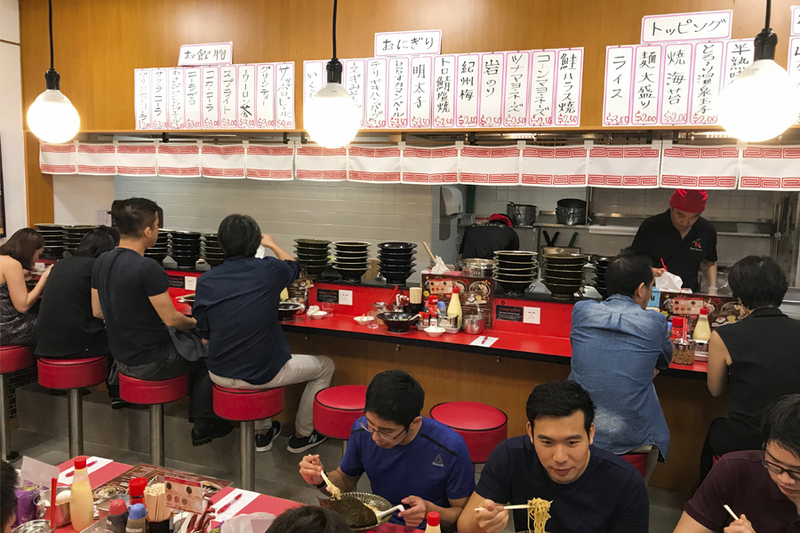 Interesting, there is a theory that says that the word “champon” comes from the Hokkien word “chiak-peng” which implies “eating a meal”. 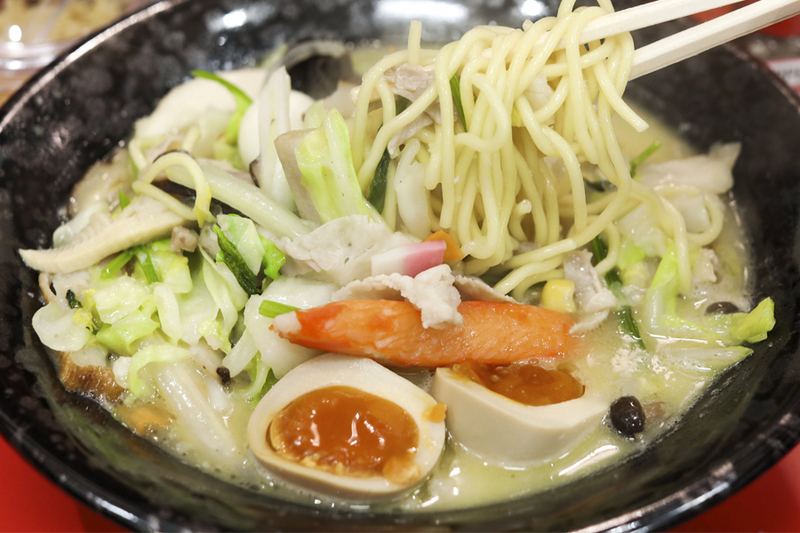 There are 3 variations of Champon Ramen offered – Yama Champon ($13.90), Umi Champon ($14.90), King Champon ($15.90). 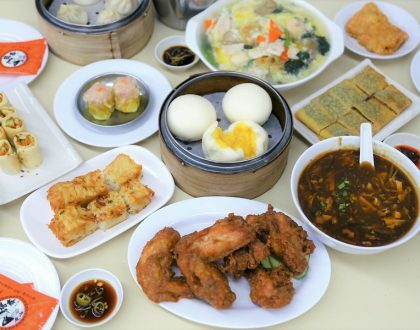 Each bowl variation comes with 10 basic ingredients which includes quail eggs, pork belly, Japanese fish cake, deep fried fish cake, cabbage, Chinese cabbage, carrot, onion, black fungus, and spinach. I ordered the King Champon ($17.90 with egg) and expectedly found it a very filling meal. Despite being the guy my size, I couldn’t finish the portion. 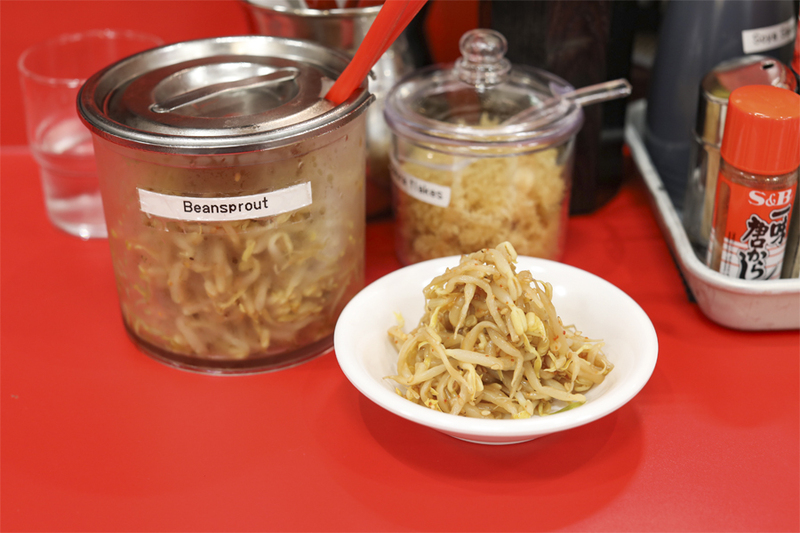 Perhaps it has something to do with the beansprouts I piled up while waiting. The enjoyable part was the silky-creamy thick pork and chicken based broth, that required at least 6 hours of simmering. 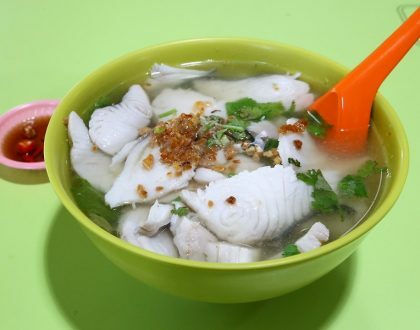 It would be hard to find someone who would actually like all the ingredients in the bowl. If you are the sort that would pick out an ingredient or two, then this concept may not be for you. The more delightful things were the seafood of prawn, squid and clam, didn’t mind the extra cabbage which added some sweetness, though I didn’t fancy the chicken gizzards. But personal preference, there were just too many things going on that I would just prefer a straight-forward bowl.